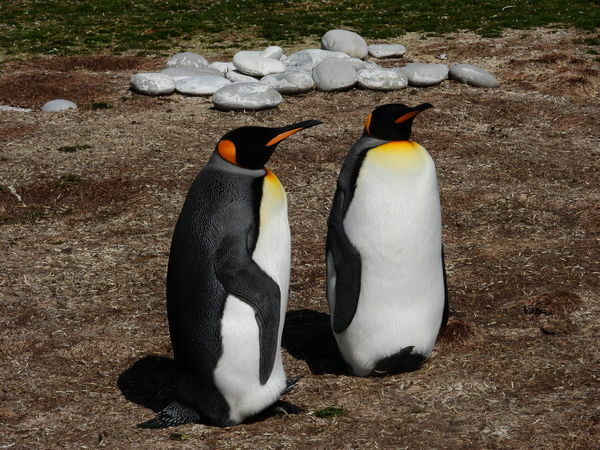 King Penguins on the Falkland Islands. Neat looking birds. The only thing I'd try to do differently is get some kind of catch-light in the eyes of the penguins. In your image they look a little lifeless since you can't see the eyes. Nice shots. I've heard experts say that catchlight in their eyes is nearly impossible. Don't know from experience. 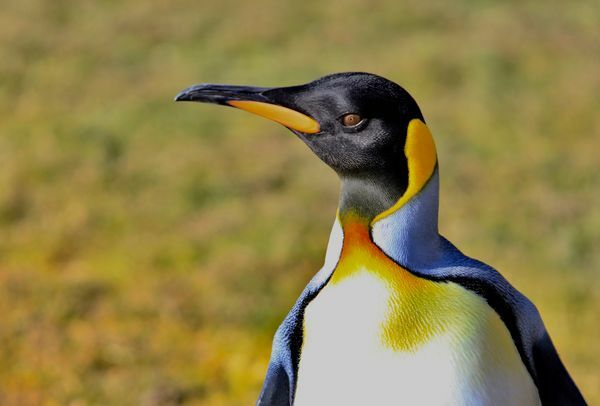 Penguins eyes do not reflect light. I took about 200 images in South Georgia Island, none had any reflection in their eyes. You are lucky if you see the eye at all.